“What is the most important thing on the range?” yelled the Navy Firearms Instructor to the group of young sailors amassed in front of him. “Safety!” was the reply taught to yell back, in unison. After the twenty-minute safety briefing, the students became allowed to begin the training while holding their unloaded rifles and pistols. Firearms training is not the only area that claims to place “Safety” above all else. I’ve been inside numerous manufacturing facilities and have seen large signs posted on the walls extolling the virtues of safety. 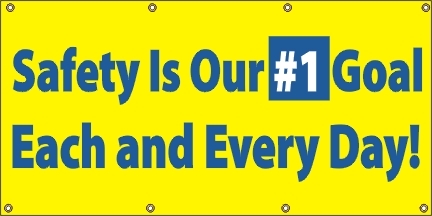 “Safety is Our #1 Goal” read a large banner posted near the entrance to the employee breakroom/lunch area. In the firearms world, we throw around the word “safety”. It’s as if saying the word often enough will cast a magic spell of protection around everyone. We create more and more specific “safety rules” and “range rules” in a never-ending quest to create the perfect environment. An environment where there is zero chance that injuries would occur while using a firearm. It’s as if someone said, “You know, if 10 range rules will make us safe, 15 will make us safer.” Not wanting outdone, someone else pipes up, “If 15 rules make us safer, wouldn’t 20 range rules make us the safest of all?” Before you know it, there are Range Rules signs posted at every shooting point, from the ceiling to the floor. I once used a shooting range where there was a requirement to read, initial each page, and then sign the final of 26 pages of range safety rules. I’m not kidding, I counted 26 pages. If you close your eyes you can almost see the “safety board” of your local public range. They are all sitting around a table, drinking Diet Coke and eating donuts. No one wants others to outdo them. Every one of them wants to add four, five, six, or more of their own rules to the mix. That is how you end up with a 26-page range rules document. I would like to point out that mindlessly throwing around the word “safety” is not only a lie, but it is dangerously deceptive as well. For the first example, Navy Training Range, I pointed out to the instructor corps that safety was not the most important thing on the range. The most important thing was victory, or success if you like. The institutionalized and heavily indoctrinated career Navy men took great offense and looked at me as if I was a heretic. “You don’t know what you are talking about.” a retired Senior Chief said to me. I continued, undaunted, and replied to him that if safety truly was the most important “thing” on the range then issuing the students ammunition for their firearms should never happen. Anytime you conduct live-fire training, there is an element of danger present. Firearms, by their very nature, are dangerous tools. “So, the most important thing on the range is to train them and then have them qualify with their guns,” I inquired of him. He had missed my point, but he would not be the first or the last one to do so. In the case of the manufacturing plant with the “Safety is our #1 Goal” banner, that too is a fantasy posted to simply make people feel good about themselves. You see, in that plant there were numerous hydraulic presses, lathes and milling machines, forklifts, and front loaders. All these powerful machines, if operated negligently, could maim or kill a person. If Safety is the #1 Goal, why do you have all this dangerous equipment in the plant? The number one goal of any manufacturing plant is to efficiently and effectively produce a product or several products that companies and consumers want to buy. The greater the demand for their product the better off the plant will be. The workers’ jobs will be secured and everyone shares the fruit of their labor. No customer is going to pay you for your safety record, and you cannot box up safety and ship it out to consumers. This “Safety Uber Alles” mentality has been pervasive in the United States military for decades. In the book “Boyd: the Fighter Pilot Who Changed the Art of War”, the author Robert Coram relates incidents were Colonel John Boyd, the pre-eminent fighter pilot instructor of the time, chastised Air Force unit commanders who boasted of their “safety records”. Boyd told them that their obsession with safety would cost pilots their lives when they had to engage in real combat. These fighter pilots were not training hard and preparing for the harsh reality of life and death combat because in their commanders’ minds, safety was the priority. 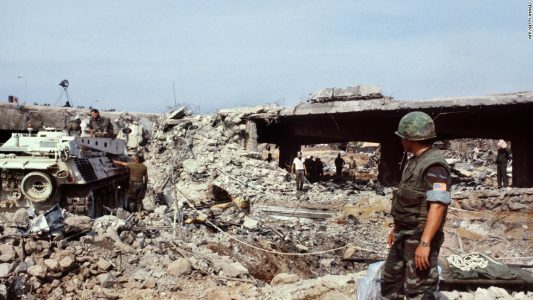 On October 23, 1983, terrorists attacked the US Marine Barracks in Beirut, Lebanon, with a truck bomb; killed were 241 Marines and Sailors and over 100 more injured. The nation was shocked and dismayed. Most Americans could not believe that something like this could happen. What the American public could not know was that the rules of engagement (ROE) severely restricted the use of force, not allowing Marines to carry loaded weapons, allowing them to shoot only if they could verify that their lives were in danger and only if they could clearly identify a specific target. The gate guards and sentries in Beirut had empty weapons. Why? Because safety is our number one goal. Commanders are more afraid for PFC (Private First Class) standing at the gate having a negligent discharge than they are of a terrorist killing the same PFC. 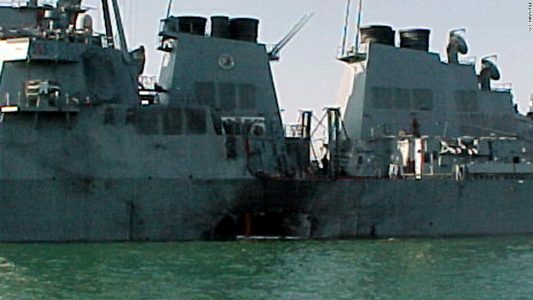 The destroyer’s rules of engagement, as approved by the Pentagon, kept its guards from firing upon the small boat (which was not known to be loaded with explosives) as it neared them without first obtaining permission from the Cole’s captain or another officer. Petty Officer John Washak said that right after the blast, a senior chief petty officer ordered him to turn an M-60 machine gun on the Cole’s fantail away from a second small boat approaching. 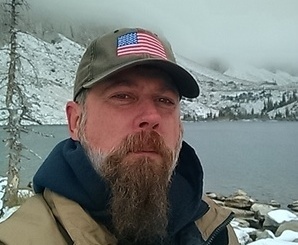 “With blood still on my face”, he said, he was told: “That’s the rules of engagement: no shooting unless we’re shot at.” He added, “In the military, it’s like we’re trained to hesitate now. If somebody had seen something wrong and shot, he probably would have been court-martialed”. Petty Officer Jennifer Kudrick said that if the sentries had fired on the suicide craft “we would have gotten in more trouble for shooting two foreigners than losing seventeen American sailors”. I feel certain that most, if not all, of those reading this, have had the ad nauseum range rule experience. Some of you are veterans familiar with ROE policies so restrictive as to give an advantage to the enemy. and practically guarantee the death of American servicemen. Many of the aforementioned ranges pay little attention the 4 Universal Safety Rules. Some of the Universal Rules become mixed in and bastardized to be almost unrecognizable. A few well-meaning ranges will begin with the 4 Universal Rules and then add ten to twenty more after those. When we examine the manufacturing plant example: plant personnel would say that the operation of dangerous machinery is by trained people. They will also say that there are very specific rules for using and handling heavy equipment. They don’t simply speak the word “Safety” over the heads of the employees and turn them loose on lathes, forklifts, and hydraulic presses. If we in the gun culture or shooting community are truly interested in reducing the instances of negligent injury or death, is there a better way to achieve this than creating a 26-page range rule document? Would it not stand to reason that the better educated and trained shooters are, the more competent and proficient they will be when handling firearms? Whether we are considering the manufacturing plant, the shooting range, or the Rules of Engagement, the fantasy is the same. The “Safety Uber Alles” problem stems from the idea that by simply instituting rules we can guarantee a zero-defect, safe environment. Safety as a goal is an impossible achievement. The only way to achieve safety with firearms is to take away all live ammunition or close the range completely. Safety, however, can indeed be the result of educated, well-disciplined, and properly trained shooters. The only “safe” shooter, in the absolute sense, is one who has no ammunition. However, skilled and educated shooters can operate with very little chance of negligent injury. Rather than viewing safety as our “#1 Goal”, we could view it as the logical result of well-trained, educated people. If a person learns how to properly handle a firearm, would they not fulfill our “safety” requirements? Stop viewing safety as your goal and start viewing safety as the logical result—the byproduct, if you will, of highly trained and skilled people. The better educated, the better trained, and well-disciplined your people are, the less likely they are to behave in a negligent fashion.